Please refer to the Product Bulletin for more information. 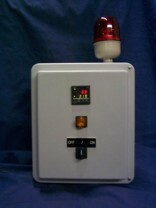 Raise Liquid Temperature in Metal Drums with a safe, efficient electric drum heater. The ECONO Series with Built-In Thermostat Heater is specifically designed to assist the flow of viscous materials contained in Metal Tanks and Drums. Easy ON / Easy Off spring clamps Make it Ideal for Quick change over in production! 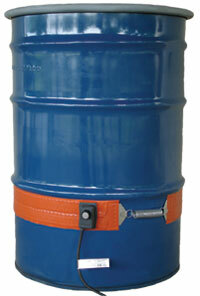 The Econo Series Drum Heater for metal drums comes in 120 and 240 volts AC. The heat delivered to the drum is regulated by a 50-425�F thermostat. The Heating element is Laminated between two layers of 15 mil fiberglass reinforced silicone rubber and sealed for maximum protection against Moisture and Chemical corrosion. The Econo Series comes with a 6 foot power cord. with an easily accessible on/off switch. Max operating temperatures of 425�F.